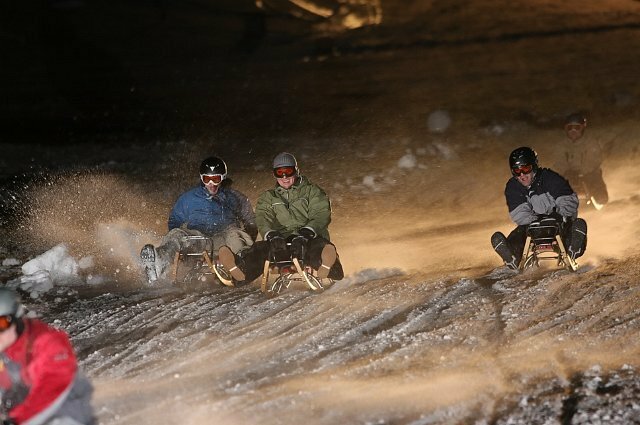 Toboggan at night – a real fun! On one of the approx. 60 rent-toboggans with a special safety device, you get up with the slow lift to the illuminated toboggan run. Over the “Wassertal” slope you´ll return in high speed to the lift station Grafenwiese. The toboggans are also suitable for small children, which can be taken safely and comfortably sitting in the front. 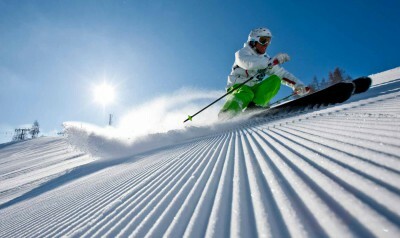 Ski clothing and ski helmet are recommended and don´t forget solid footwear is necessary. Lift and ski chalet: from 16.12.2017 contious opened. Toboggan fun: from 26.12.2017 each Tuesday and Saturday from 17:30 till 20:30, in the Christmas holidays and in February also every Thursday (changes are possible).